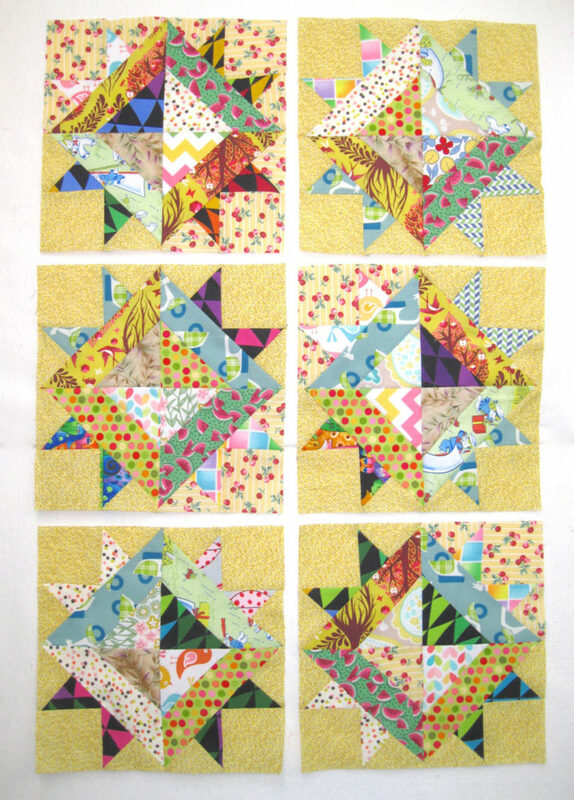 I had fun pulling the scraps and playing with these blocks for April. I wish the outdoors was as sunny as these blocks! Here are my six for the drawing.